Bridgestone Ecopia EP422 Plus is engineered to be more fuel efficient to give you 20 extra miles per tank*. Designed to be durable, the Ecopia EP422 Plus now offers a 70,000 mile treadwear limited warranty. 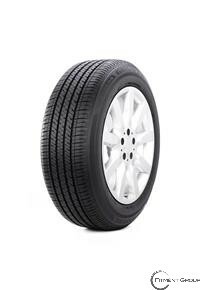 Engineered for some of the most popular sedans and minivans on the road today, the Bridgestone Ecopia EP422 Plus offers dependable all-season performance, confident handling and a comfortable ride.